If your preference is for condominiums that are low-rise and human-scale, not one of those tall, high density, mega projects, then you might like the idea of the upcoming Kent Ridge Hill Residences. This is a brand new 5-storey development at the foot of Kent Ridge Park along Buona Vista Road, off Pasir Panjang Road in the West Coast area of Singapore. Kent Ridge Hill Residences is surrounded mainly by a landed estate of 2 to 3 storey high houses, very much a private residential area, with not a single HDB flat in sight. Its name derives from the fact that it is set against the backdrop of the lush greenery of the park, on the hill that rises behind the development, part of the Southern Ridges Green belt. The low-rise nature of Kent Ridge Hill Residences, added to its park-like setting, and the mid-size number of only 548 units, makes for a warm and welcoming environment here. If you want to live in a place that is conducive to a strong sense of community and neighbourliness, then this might be worth looking at. And the best part about it all, is that you don't have to sacrifice convenience and de-camp to the edges of Singapore to achieve this. While the West Coast is perhaps not the most high profile or talked about parts of town, nevertheless it is a lot more central than most people realise. For one thing, it is actually only around 15 minutes drive from the Central Business District (CBD) in the Raffles Place / Marina Bay district. And for another, this Kent Ridge Hill condo itself is actually within walking distance to Pasir Panjang MRT station. It is slightly under 600m on foot, which take around 8 to 9 minutes to walk. Pasir Panjang MRT station is on the Circle Line, which links to Harbourfront and to One-North, while looping around the island. It is one of only 2 lines that joins to every other line of the MRT network. 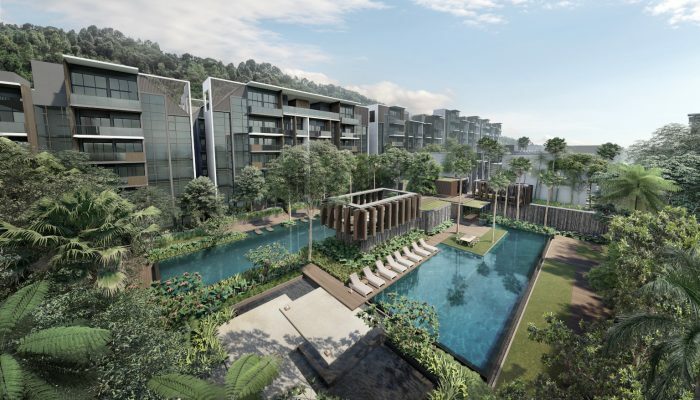 Perhaps the only disadvantage about this Kent Ridge Hill Residences project is that it is on 99 year lease, whereas many of the surrounding homes are on freehold land. Other than that, if you have any questions about this project, or would like to offer your opinion about why you like or don't like it, please feel free to drop us a note or add to the discussion here. hi..quick question but this might be out of the topic.. I will be visiting singapore soon.. do u happen to know any affordable hotel close by arab street? hoping the one where i can use agoda voucher or airbnb voucher.. Here is the latest update on Kent Ridge Hill Residences. Marketing for the launch is now starting, with the Preview likely to be in later part of October 2018, or perhaps early November. The number of units in this project is confirmed to total 548, with 50 of those being the 4 and 5 bedroom strata houses. These offer a landed living lifestyle together with the enjoyment of condominium facilities, within the safety of a gated community. Besides the 1 to 3 bedroom apartments, the top floor units will be 4 and 5 bedroom penthouses. 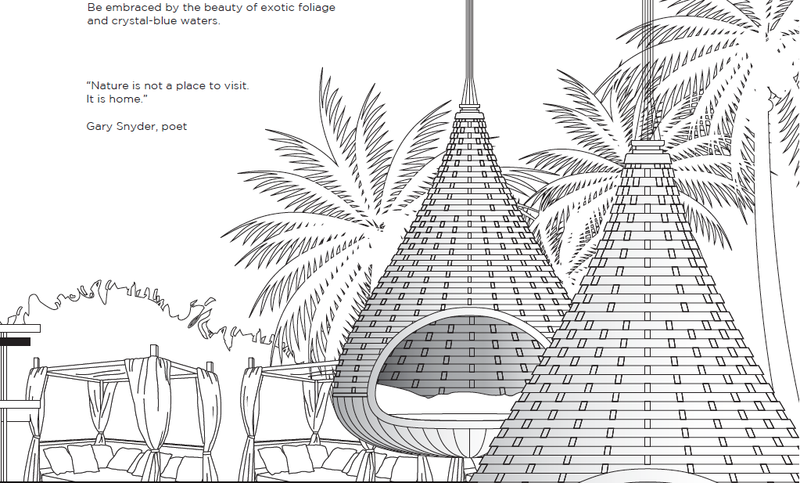 The artists impressions are now available, and looking really attractive.